He has performed at the Coconut Grove Playhouse, Goodman Theater in Chicago, Café LaMama in New York and has appeared with such stars as Harv Presnell, Daryl Hickman, Rita Gardner and Lola Fisher. Errol has written numerous plays including the critically acclaimed "Family Baggage" and the award winning "Adventures to Closetmush". Errol has written several books including "Journeys to the Source", "Welcome to Your Universe", "Answers are Timid", "Elfbert, Santa's Reluctant Helper" - an illustrated family book, and "Welcome to Your Universe." He was nominated for a National Cable Emmy Award and was the winner of the Jefferson University Oral Interpretation Contest. He has taught acting, dance, creativity and spirituality at the University of Miami, Dominican University, Naropa West University in Oakland, and Mundelein College in Chicago. He is also a practicing Board Certified Hypnotherapist. He was the creator and presenter of "How To Get Results With People" and "How to Stay Motivated" for CareerTrack Seminars. 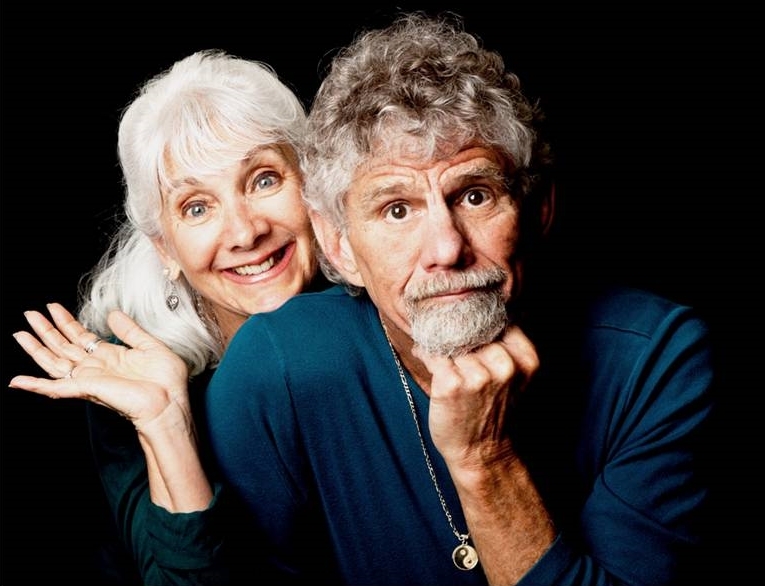 Errol Strider, wife Rochelle Alicia Strider, have developed a new model for entertainment and spiritual education called Innertainment which combines philosophical inquiry, spiritual discovery and psychological growth with comedy and theater. They have devoted the last 28 years to this ministry travelling extensively all across the United States doing performances and conducting workshops and classes. Rochelle Alicia Strider has been acting and teaching for almost 40 years. She began her professional acting career in New York City in the early 60's as part of the theatrical renaissance; starting with La Mama ETC of which she is a founding member and The Open Theater which introduced her to the improvisational skills she employs and teaches to this day. She went on to appear in over 20 productions off-Broadway. She appeared on Broadway as Simone Everade in "Marat Sade..." and also created roles on Public Television and the original NYPD. In the mid-seventies she began a quest to incorporate her personal journey into her art, and in 1975, met Errol Strider to form a partnership in marriage and in what they now call, Innertainment and the parenting of two sons. She has taught acting classes for young and mature professionals in New York City, Boulder Colorado, Israel, Europe and San Francisco. She continues to teach acting skills to people who wish to grow spiritually. She is currently writing a text on "Acting With Love" -the A.W.L. process. As she grows and deepens her understanding of what makes us tick she shares these insights with her audiences and students in the most Inner'taining way possible. - Touring the United States for over 12 years with their original production of "Family Baggage" and accompanying workshop, "Unloading Your Baggage," both of which deal with dysfunctional families, addiction and abuse. - Touring summer camps sponsored by the United Methodist Church doing performances and conducting workshops on life style and spiritual values. - Teaching at the Master's degree program for Matthew Fox at the Institute for Creation Centered Spirituality at Mundelein College and Dominican University. - Errol led a series of workshops on freedom and empowerment at the Boulder County Jail. - A series of performances and workshops sponsored by The Attorney General of the State of Mississippi. - Leading a Sunday gathering in Boulder, Colorado for almost three years. - Conducting a series of workshop for over 10 years called, "From Fear to Freedom"
- Producing video and audio programs as well as publishing several volumes of poems, parables and performance pieces, including a 15 part television series, "The Gathering." What a great show tonight - very moving and real - Rochelle's skit about being a child brought tears to my eyes - now I know what the "laughing heart" means. Sometimes I'm floored by "your naked truth" - keep the topics coming . . .
love the poem about "the shadow" - moving . . .
to give us security. Bravo! Congrats!!! That was a really good show you and Rochelle put on last Tuesday! And, that sketch in the Feelings Shop was priceless -- really well done. In fact, is there a way you could make a clip of just the sketch -- and post it on your web site -- as an intro to the fun from your show??? Believe it or not, tonight Dec 16, 2017) was the first time I saw your comment. We didn't even know that there was any feedback. They don't call us idiot savants for nothin'. Thank you so much! That means a lot to know there are people out there in listener land who "get it.!"